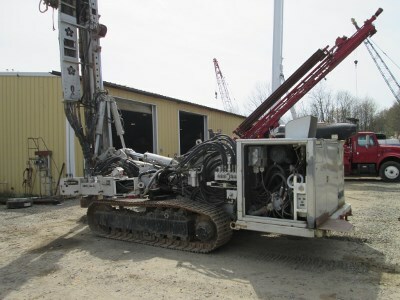 2006 Boart Longyear Delta Base DB102 Anchor Drill. 9,000 ft-lbs of torque. B2 Crawler, Deutz 197hp Water Cooled Diesel. 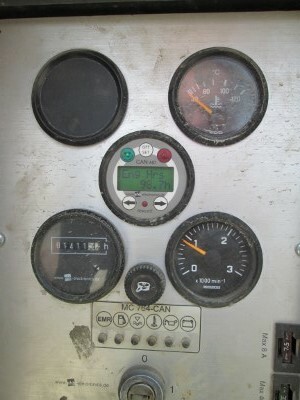 Variable piston pump w/ load sensing; torque control. 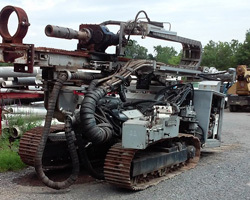 Double head drilling unit. 1,415 hours; has a new computer! Variable piston pump with load sensing and torque control, drills vertical, horizontal and off side. L – 23’5” (mast down), H – 8’9” (mast down), W – 7’4”. Weight: 31,000 lbs. (w/o tooling). 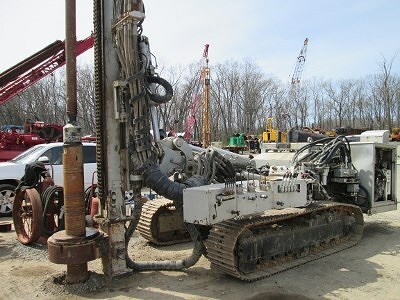 Double head drilling unit capability.